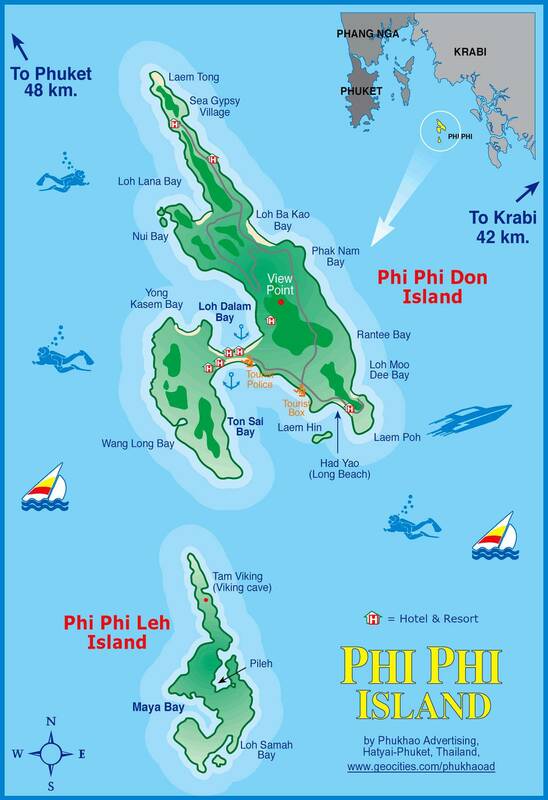 Phi Phi Island (Koh Phi Phi Don) is synonymous with a young loud party scene. 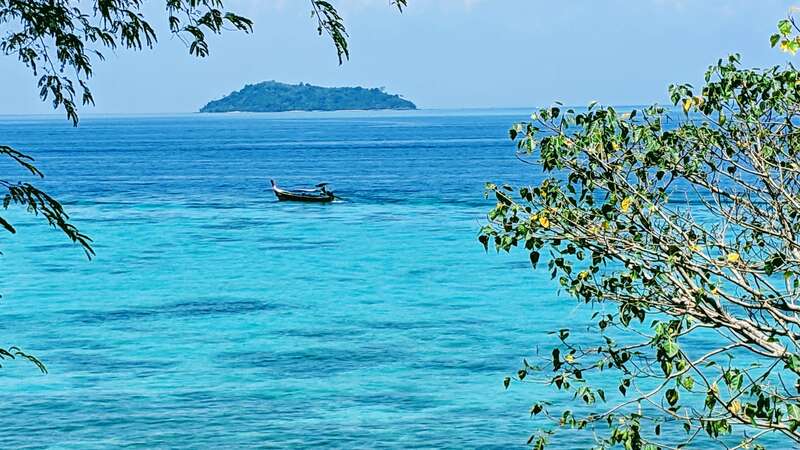 It is set on a tiny island in the Andaman Sea, dominated by cliffs in the midst of the most gorgeous turquoise water and jungle. And yes, the over crowded Tonsai Bay is exactly that – party central but we found tranquil seclusion far away from the rhythmic thumping of EDM. 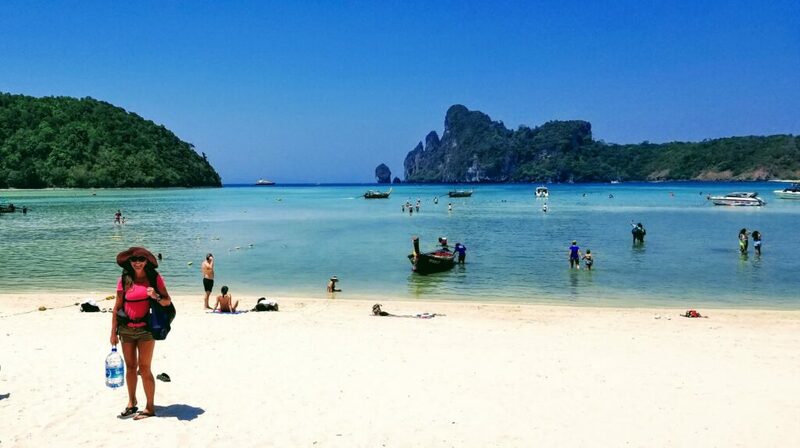 Phi Phi islands were made famous by the Leonardo DiCaprio movie the Beach which was shot in 1999 in Maya Bay on the uninhabited southern island of Phi Phi Leh. Unfortunately, given the film’s advertising of this area the infamous beach got terribly polluted. In an attempt to save it, the Thai government has had to close it for the unforeseeable future. 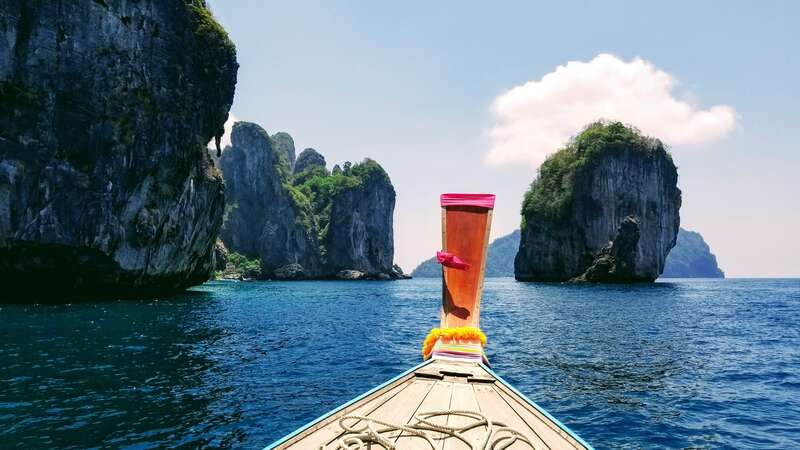 Getting to the Phi Phi’s is only possible by boat. There are many options for speedboats and slower ferries. 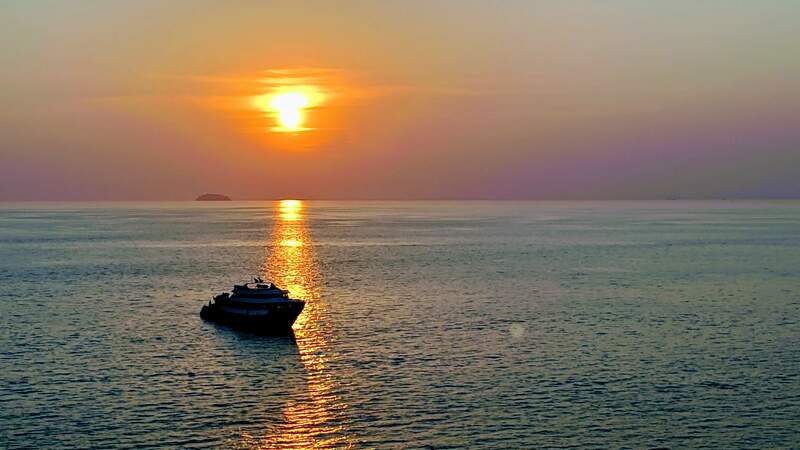 Ferries take about two hours from Phuket and 90 minutes from Krabi or Koh Lanta. The main departure/arrival port in Phuket is Rassada Pier, located in Phuket Town. In Krabi, the main ferry pier is Klong Jirad Pier, situated just south of Krabi Town. 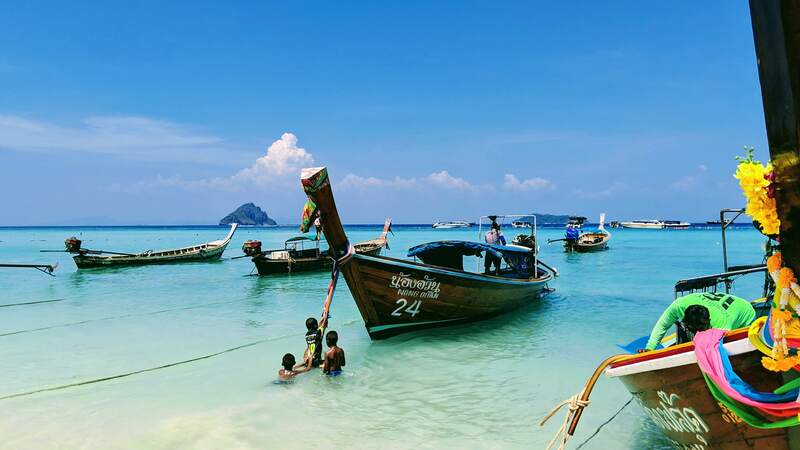 The ferry terminal is a one-hour drive from Phuket Airport and Krabi’s is 30 minutes from Krabi Airport. Boat companies advise to arrive well in advance in order to get good seats. However, from our experience, we would get there early and sit patiently waiting (for a boat that is usually late). Once the boat is disembarked by the other passengers everyone shuffles in regardless of who got there first – no guarantee of good seats early or not. Approaching these islands by boat is a fantastic site. Sheer cliffs tower overhead and give way to beach-fronted jungle and crystal clear baby blue water. 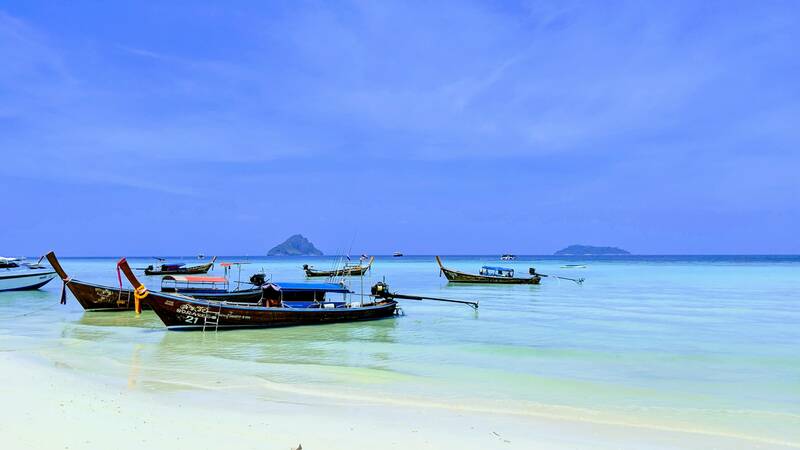 We arrived at the Tonsai Pier by speedboat expecting our hotel to be nearby and accessible by tuk tuk or Grab….We quickly learned that there are no roads on Phi Phi, let alone cars – only boats. I mean common, a Holiday Inn would be expected to be in the center of the action we thought. Truth be told we didn’t do that much research for this leg of the trip. We knew that the Holiday Inn was rated as the second best hotel on the island but not much more. The local water taxis wanted $40 for a one way trip so we opted for the $30 ride from the hotel itself (we had to wait for them to pick us up). 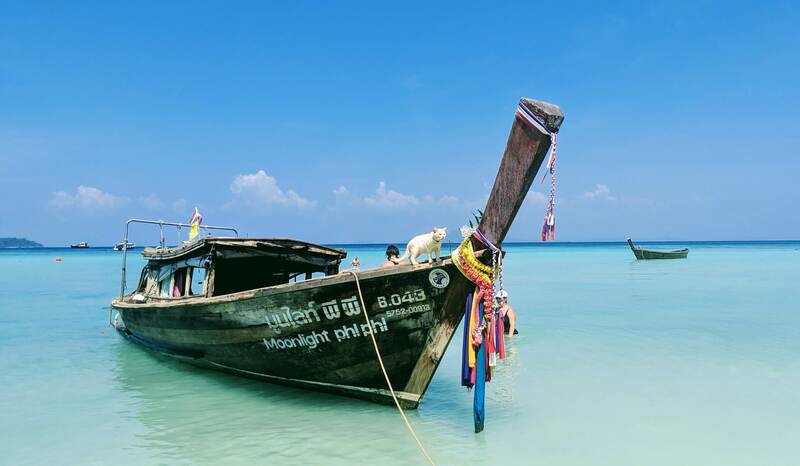 It was worth it – just us on a longtail boat being taken around the island. 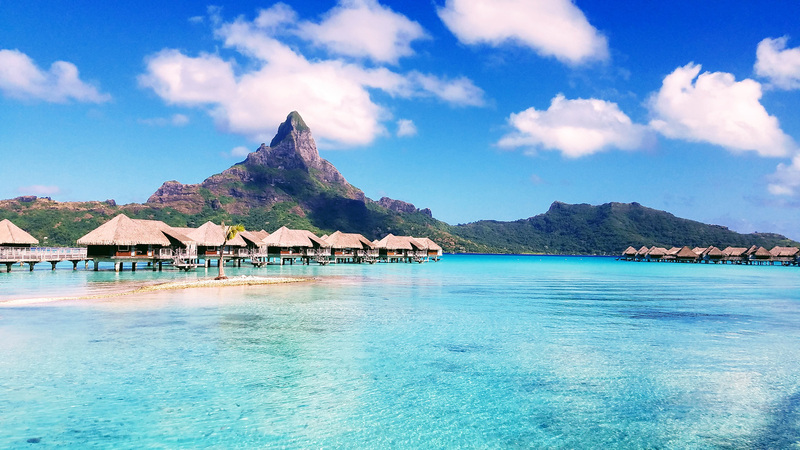 There is a cheaper option to get here – which the hotel does not advertise. The Ferry Boat leaves Tonsai at 10 am and 2:30 pm for only 200 THB per person (that is about $6). 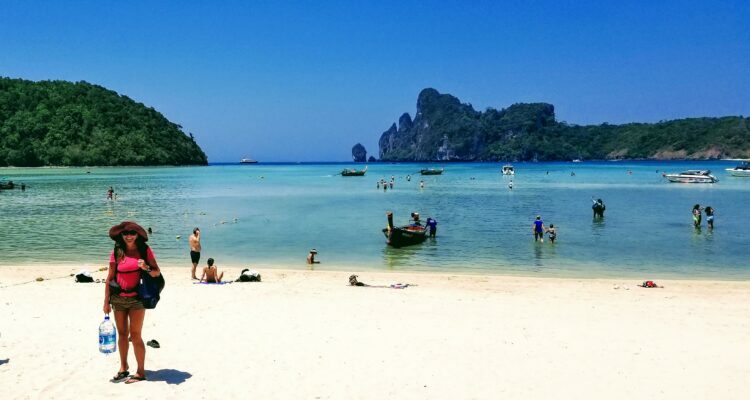 Holiday Inn Resort Phi Phi is located on the northern tip of the island and takes up it’s entire width. Meaning that from one side of the resort you can watch the sunrise and from the other the sunset. 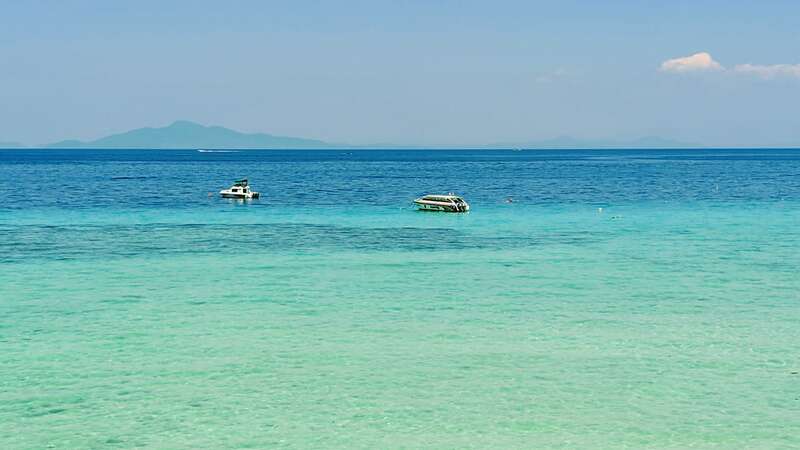 Although the property is quite rustic, the powder white sand, crystal clear baby blue water and secluded hideaway feeling makes this resort and beach a great place to unwind. We paid for the hotel with 35K IHG points per night, with each 4th night being free as a benefit of the Chase IHG Premier credit card (must be booked in 4’s). This credit card has many other benefits including a free anniversary night which more than pays for it’s annual fee of $89. The last time I checked it was also offering 120K points for signing up with a minimum spend. There are a few other more reasonably priced resorts on Lam Tong Beach. Although I can’t speak to their quality, they all do share the same beach and seclusion. There are a number of restaurants on this isolated part of the island, but we kept on coming back to Chile and Pepper. The restaurant is set inside a tree fort and only has 7 tables. The husband cooks and the wife acts as server, sous chef and crowd control (she has to turn away many salivating customers nightly). 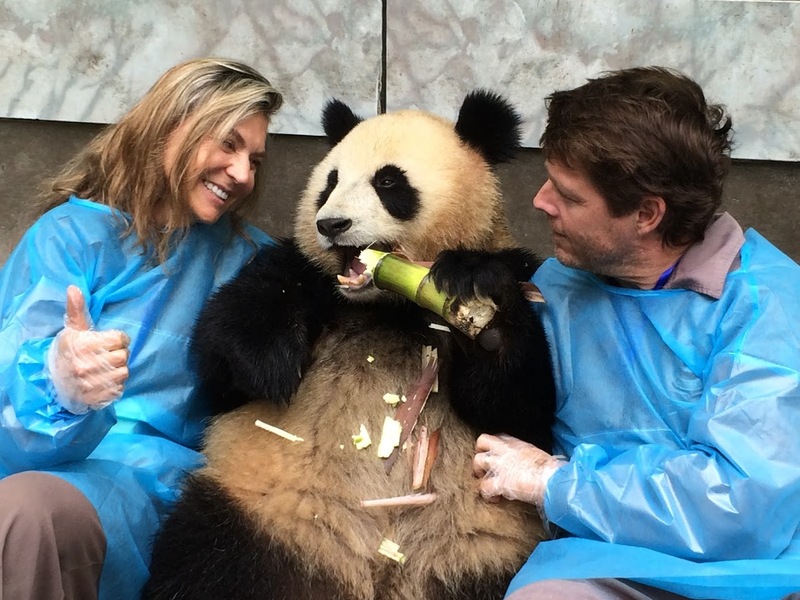 The food is absolutely divine – they make everything from scratch, so eliminating animal products was an easy ask. Just be prepared to wait a while for your meal and dousing yourself with citronella prior to arriving is highly recommended. 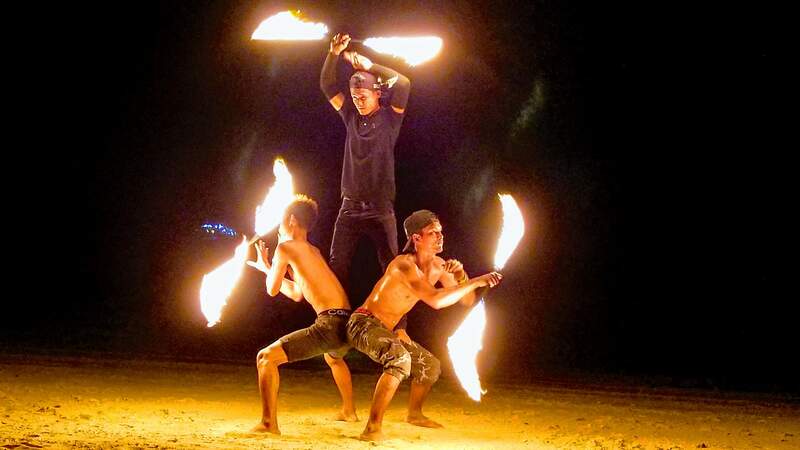 At the most northern end of Lam Tong Beach, locals provide a free Fire and Rhythm show twice a week (Wednesday and Friday nights). Their acrobatics and artistry is well worth the 5 minute beach stroll. During our second tour of 4 night stays we decided to check out the nearby village just a 20 minutes walk south of the Holiday Inn. The walk is on a paved path just above the beach. As there aren’t any vehicles on Phi Phi, the only noise that you hear is a random scooter, monkeys, birds and the waves lapping the shoreline. The village has a few resorts, a couple mini marts and a dozen or so restaurants/cafe’s. I gleefully hauled mangoes, baby bananas, clementines and a pineapple back to our room. During another excursion, we decided to walk to Tonsai Bay. Disregarding the warnings of locals, we followed the well marked path which became smaller and turned into a single track going up one side of the mountain to fall back an hour later onto the rocky beach of Tonsai Bay. Another 20 minute walk and we were surrounded by scantily clad 20 somethings and the familiar thumping of dance music. Boy, were we glad that we were staying in serene seclusion and not the mayhem of the Bay. Grabbing a fantastic vegan lunch at the Sunflower Beach Bar and loading up on supplies we easily made the cheap 3:30 pm ferry back to the tranquility of Lam Tong Beach. Our 8 day stay on Lam Tong Beach was absolutely perfect. I would not recommend a longer stay, though, due to the isolation factor.